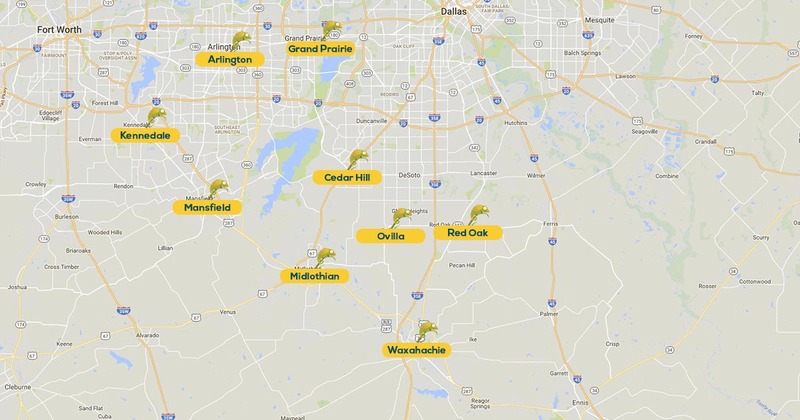 Finding a quality outdoor pest control service in the North Texas area isn't difficult if you are in Midlothian, Waxahachie, Mansfield, Arlington, Cedar Hill, Red Oak, Grand Prairie, Kennedale, or Ovilla. Call Vista Turf at 817-307-0583 for immediate service and a free quote for flea, tick, mosquito and other outdoor pest control services. 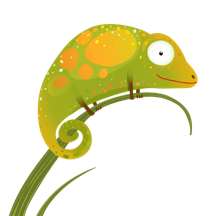 Our outdoor pest control services are your answer to a pest-free outdoor living space and yard. With our licensed outdoor pest control technicians on the job, you will get effective outdoor pest treatment for many common bugs in Texas, including: Ants, Wasps, Spiders, Fleas, Ticks, Mosquitos And many more! Nobody wants to have fleas all over their yard, but unfortunately, they are a common problem for many homeowners in Texas especially those with pets. In order to get control over flea infestations in your yard, home and on your pet, is to start with controlling the fleas outside of your home. Our flea control treatments will help you fight back against fleas so you and your pets can be more comfortable. In order to control fleas outside of your home you will need a comprehensive flea control strategy based on the extent of the infestation. When we spray for fleas we use a process that is designed to not only kill the adult fleas but also targets flea eggs and flea larvae with an insect growth regulator which prevents the maturity of a flea, the IGR keeps the flea from developing into the adult jumping, biting, and most importantly reproducing flea. Although we use a comprehensive approach to flea control outdoors , recurring services are required during the flea season here in Texas because new fleas are constantly being introduced to your outdoor space from a variety of wildlife including squirrels. All Vista Turf pest control technicians are tick control specialist with the experience and knowledge to properly treat your property for fleas, ticks, mosquitos and other outdoor pests. Our technicians are trained to safely apply treatments in accordance with Texas State laws. We understand how ticks behave, where they live, and how they survive so we can more effectively treat your property for ticks. When you discover an outdoor pest problem at your home, the last thing you want to do is wait days or weeks for help from the professionals. 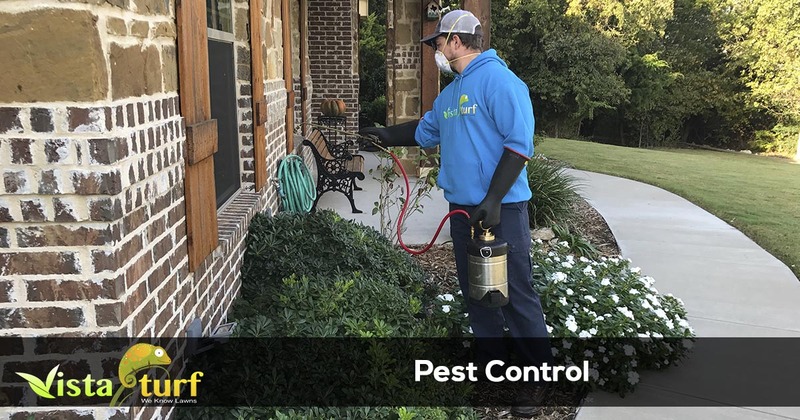 Vista Turf offers fast and reliable pest control services when you need them most, so the outside of your home becomes pest free as soon as possible! Finding a pest control company that can effectively exterminate pests outside your home is easy when you call Vista Turf. Our technicians are experts in outdoor pest control and are specifically trained on the pests common in this part of Texas. We are equipped with the latest technology and information concerning outdoor pest control, so we can solve all of your outdoor pest control issues quickly and effectively. We offer flea, tick, and mosquito control services and we also offer other outdoor pest control services for other pests outside of your home like ants, spiders, chiggers, crickets, flies, wasps, and other outdoor pests that are common in Texas. Call now to get fast professional outdoor pest control services with reliable results.